How about a rich cup of our healthy hot chocolate or cocoa? We combine the great taste of our cocoa, sugar and non-dairy creamer with the healthy benefits of ganoderma into a delicious drink that is a must have for kids and adults alike! Sure to be a winner in everyones house! Perfect for the holiday season! I love my Hot Chocolate Ganoderma !! Especially during these freezing temperatures in Maryland. I also love all of my Gano Teas !! I drink it hot and ice cold !! Try are so refreshing and healthy! ! Thanks Gano ! Mmmmmm, Wonderful chocolate taste. We use is sparingly due to the sugar in it but just cannot do without a treat a week. Great taste.i have it at bedtime.i have given away my regular hot cocoa. Very good, I like so much the taste, and is very good for health. I take it every evening, I feel fine. My kids love this stuff. They would drink it all day long if I would let them. I am enjoying the Ganoderma cocoa. It has a dark chocolate taste that I like. I will definitely purchase again. The flavor of your hot choclate is great, the addition of the muhroom is a plus, I have tried making my own and just can’t match the flavor. Absolutely LOVE it. My fiance are also huge cocoa fans and this product is delicious. 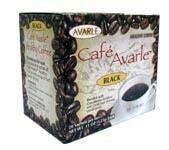 The aroma and taste are a chocolate lovers delights. AND it’s good for you, too! I enjoy one cup of Ganoderma Chocolate each day. It is a delicious replacement for a dessert while giving me a real bonus in health benefits. Ganoderma Chocolate is a win-win proposition. I bought the member pack plus a sample pack so that I could have multiple trials of each in order to make my selection of favorites. Even though they have less milk and sugar than I am used to, I do not tamper with them by adding anything and I find them most enjoyable. One morning I had a cup of Cocoa with breakfast and found that I was sleepy throughout the day. Since then I have smartly used the Cocoa for my night-cap and find it so relaxing I sleep like a baby. Thanks Ganoderma. Grace, Jamaica W. I.
I like the full body flavor and richness of the Ganderma Hot Chocolate so much that I buy several boxes at a time to share with friends and family. Recently I have noticed that my blood pressure has been getting lower readings and the only thinig I have been doing different is enjoying a hot cup of Ganderma Hot Chocolate each day. So I took a box to my brother-in-law in Calistoga, CA to try for his BP problem and he is not sure if it has been helping him but he loves the flavor and his BP has not elivated. My co-worker suggested I try this Ganoderma for stomach troubles I was having. I have been using the Ganoderma hot chocolate for the past two months and it has worked wonders. I was diagnosed with chronic IBS and this products has worked to prevent my flare ups. I also have Fibromyalgia and it has helped to alleviate some of my pain during the day! Yay! I was on medication to help me with my pain but thanks to Ganoderma I don’t have to take it anymore! I have suggested this product to alot of my friends and family because not only does it taste good but helps you feel better! I love this product, I now have my brother and sister drinking it. Diabetes, obesity, low energy, back pain and sleeping problems have plagued my family and myself and after drinking your hot chocolate I have noticed a wonderful increase in energy levels in all three of us. I am hoping this hot chocolate will help in all of the areas I mentioned above. 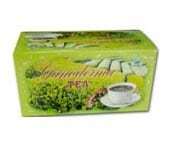 I know it has helped in the relief of sleeping problems and low energy. My brother called me tonight to ask me to order him two more boxes of the hot chocolate. I am very pleased with the results of drinking Gandoerma for the past week. I began drinking Ganoderma Cocoa several years ago because I had a stomach ache and a friend brought me a packet of cocoa which eased my discomfort. Since then I look forward to having a wonderful cup of Ganoderma every morning. I even bring packets with me when I travel and I’ve treated my daughters to it, also. Thanks…. I have been using the product for 5 months. My colesteral went from 200 to 176. I already love to drink hot chocolate. It’s even better with ganoderma in it! I and my husband prefer this cocoa over traditional cocoa because it is not as sweet. Neither of us drink regular cocoa because of that. It also brings up our energy level and keeps us feeling good. My daughter likes to wait until it is cold and then drink it, she says it tastes good that way. She is 9 though and doesn’t like hot liquids much anyhow. I love the product. This company was most diligent in getting it to me quickly. Thank you for diligence, accuracy, and service. I enjoyed the “Hot Chocolate” immensely, simply delicious, the flavor is unique unlike the ones you get for the supermarket. I have a cup every night before bed. 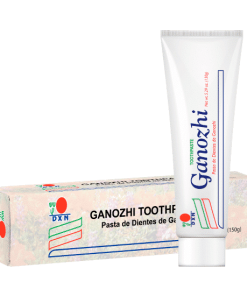 I have not tried the other products; but I am sure they are just a great. 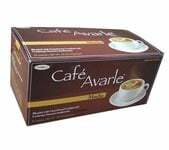 A great hot chocolate besides the benefits of ganoderma. Very rich and chocolately. 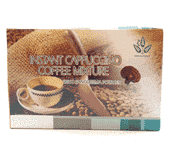 I mix it with the 2 in 1 coffee packet for a delicious mocha. 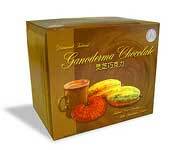 Ganoderma Hot Chocolate is very rich and flavorful. 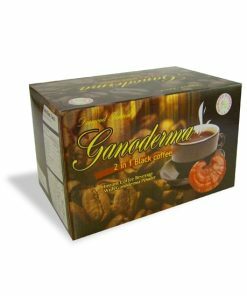 It is a favorite of my family and with the added health benefits of ganoderma you can’t beat this one…Try it!